New year comes along with new version of Redline. The main changes here are adding two new localizations – Russian and Turkish. I’d like to express my thanks to Shukhrat Namanov for Russian translation and to Ersan Özdil for Turkish localization. So along with Spanish locale by Antonio Moulet the theme RedLine is yet available in the most popular languages. 13 коментара към "RedLine 1.2 with Russian and Turkish translation"
Thank you for a wonderfull theme. Sorry for a dumb question, but how can i change the localization into russian? There must be an easy way? The easiest way is to have your core WordPress in Russian. The theme gets language settings (automagically) from the core installation. And after saving it the theme should be in Russian. Hi Yulian, I’ve localized your (great) theme in italian. How can i send it? Just send me an email at: yul.yordanov [ат] gmail.com With .po and .mo files and provide some info about you (name, website, etc.) in order to include you in the theme description as a contributor. I’ve just sent you the e-mail. Thank you for such great theme. After tired of choosing themes for myblog, I guess i could finally set down. I used your great theme in one of my blogs. Homepage: h1 for blog name, h2 for post title. Single page: h1 for post title, and h2 or h3 for blog name. some says those are the best heading tags for SEO. 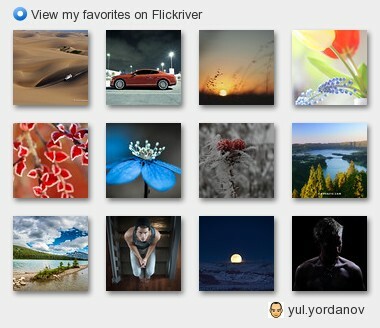 Yulian, congratulations on this theme. Must I add sharing options at the bottom of posts through the template section? Using the plugin option seem not to work.